Making a rare red carpet appearance, Drew Barrymore attended the 'Santa Clarita Diet' Season 3 premiere at Hollywood Post 43 yesterday evening(March 28th) in LA. Jumpsuits are an easy piece to wear no matter the occasion, and Drew chose a piece from the SEMSEM FALL 2018 collection. 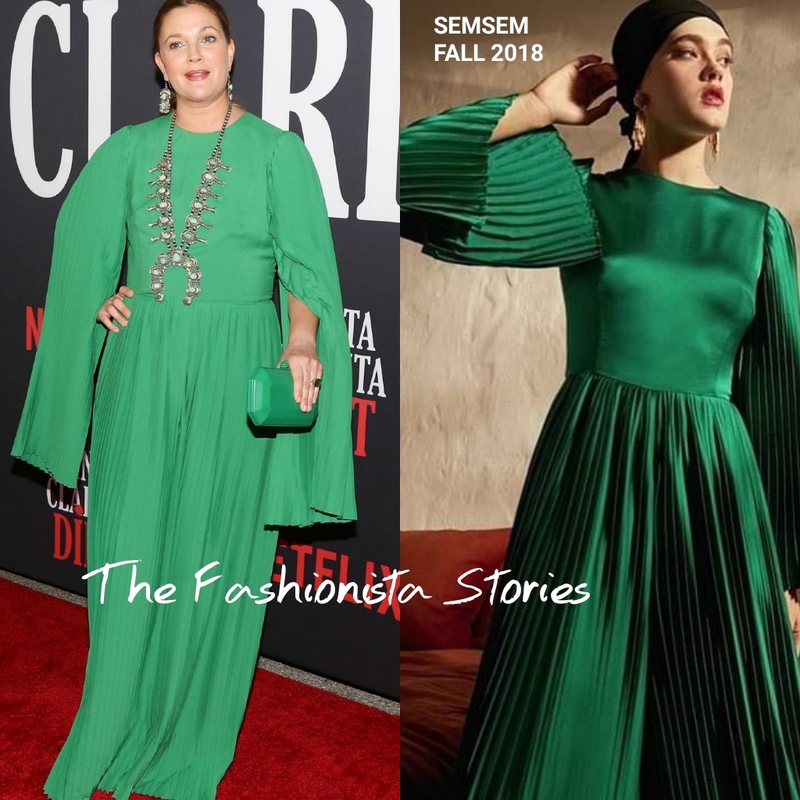 Her green pleated, crepe jumpsuit featured long split sleeves and wide-leg pants. This jumpsuit is right up Drew's style alley because whether hit or miss, she tends to wear alluring pieces. This jumpsuit definitely needed jewelry but I think she should have gone with the necklace or the earrings, not both. However this is probably not the most flattering piece on Drew, and the pants needed to be hemmed. The TYLER ELLIS 'Perry' clutch finished up her look. What do you think of Drew's look?